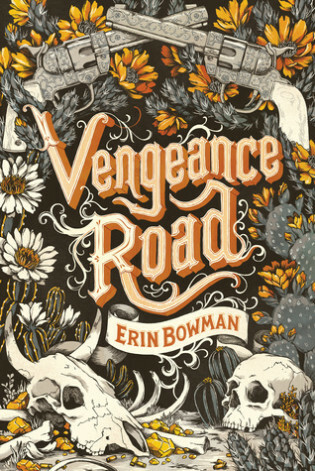 This new and refreshing standalone western novel brings light into the YA world. When I first heard about this book I was quite hesitant with western being in YA literature. Over time I started to think more and more about this book, and once the cover was released I was sold. The cover is even more stunning in real life and the hardback resembles a leather book (which makes a reference in the book). Once I picked this book up and began reading it, I fell in love with it. In the beginning it’s basically Mulan meets a Western world which was pretty darn interesting. I also loved all the gunslinging action packed in this book along with the language making it seem as if they’re back in 1877. Even though I highly enjoyed this novel, there were a few negatives. At times I felt the novel was a bit predictable and there was a tad bit of romance that this novel and I could have lived without. Overall I rate this novel 4/5 stars. This book was beyond refreshing and it was very nice to see something new in the YA world. If you haven’t picked this book up, then you’re missing out. I highly recommend this novel if you would like to try something new and to go above and beyond your comfort zone.